Clare Vivier is a woman after our own heart. Her stunning line of classic totes, clutches and laptop cases have timeless appeal and U.S.-made quality that we adore. With a flagship store in L.A. and a new N.Y.C. location (not far from Room & Board – SoHo), Clare V is a name we thought you might like to know—and wear. Travels are always a great place to start. This year I am headed to Korea, which should provide plenty of inspiration and all of my trips to New York always get my wheels turning. I’m always reading and flipping through magazines and keeping my eyes open around me, spotting an amazing font I love, a wonderful new texture or color I can’t get out of my head. We talk a lot about the intersection of fashion and furniture at Room & Board. How does your fashion sense show up in your home? I love being part of the design community, particularly with the strong support in Los Angeles. Coming into the studio and working with my team day in and day out is incredibly rewarding—and no day is ever the same. We love your commitment to making your collection in L.A. Why do you choose to keep it local? Originally I kept production local because those were the only resources available to me and now, I wouldn’t change a thing. 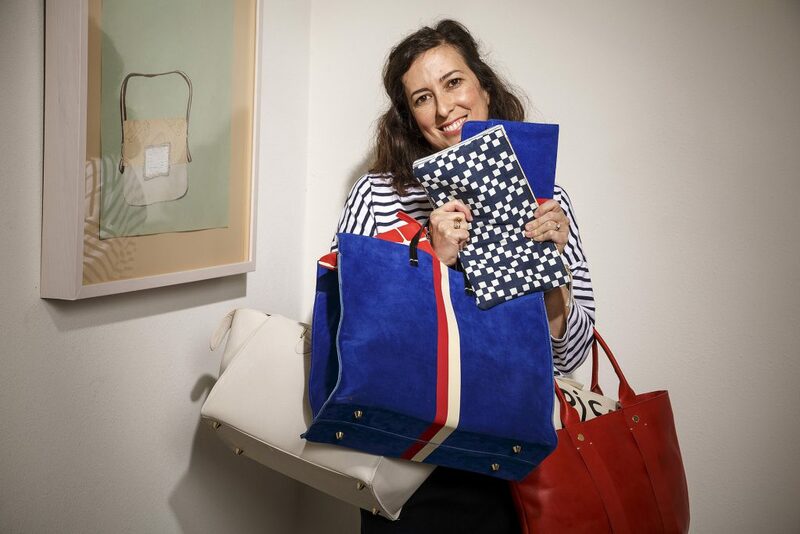 It’s so important to me to support local businesses and it provides a level of transparency where we can be a part of—and actually see—the bag from design to creation. What’s your go-to Clare V bag? Right now I’ve been carrying around my black Gosee clutch pretty much everywhere I go, it’s a great size for day and looks sweet dressed up at night. My work bag is the Duffle Grand in black herringbone – it fits files, my Macbook Air, my moleskine, and a million other things. But come spring, I can’t wait to start wearing the bright green Louise bag. P.S. We do not get paid to promote the people, places and things we share with you on our blog. Nor do we accept gifts (as fun as that sounds). You’ll read a lot about Room & Board and our products, of course, but when we share things from outside our walls, it simply means we love it and want you to know about it.